Who are the Berbers? Perhaps it is easier to describe where they live. Nowadays they settle in villages – just rarely in tents – in the mountains and oases of North Africa and Egypt, as far as Mauretania? The Sahara is also part of Berbers country. The dignified Tuareg, the last of the desert horsemen, live primarily in Algeria, Niger, and Mali. They are related to the Berber nomads of southeastern Morocco (Sanhdja group). 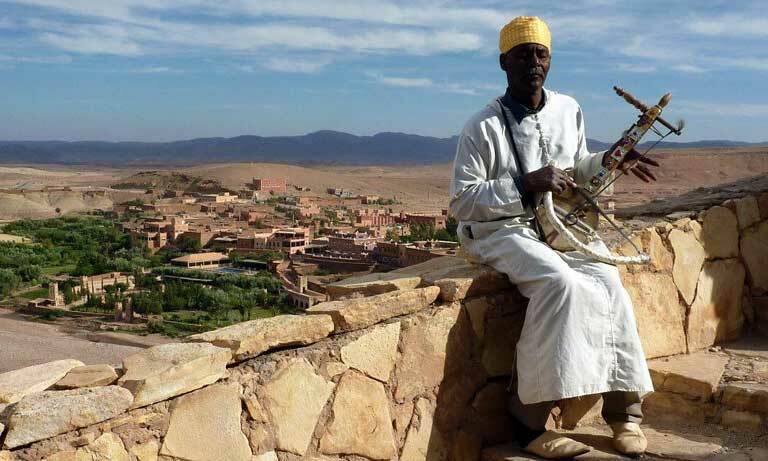 The independent Kabyle live in the Rif Mountains in northern Morocco (Masmouda group), hardy farmers and clever merchants, settle in the western region of the High Atlas and in the Anti Atlas. At 40 percent of the total population, Morocco has the highest concentration of Berber among the Maghreb states. Berber tribes were exposed to much foreign influence, so they are no longer a homogeneous group. Many Shluh of Tafraout in the Anti-Atlas actually look more European than some Southern Europeans do. On the other hand, some members o the same tribe have the features of black Africans. The Berber language belongs to the Hemito-Semitic language group, of the variety spoken in the Middle East. A 14th-century Moroccan historian claimed that the Berbers are descendants “of Cane, the son of Ham, the son of Noah”. As far as the Romans were concerned, all Africans were Barbari (Greek Barbari=Bearded). The nomads in the region beyond Carthago were probably identical with the Zenata Berber tribe, who were greatly feared as opponents or admired as legionaries and gladiators.